This captivating, floral woody fragrance intimately embraces the romantic, desirable, and sensual spirit within the Coach woman. 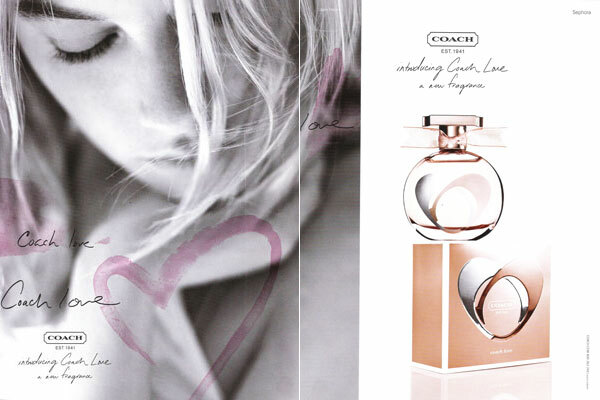 A fragrance of the heart, Coach Love is all that is modern, enviable, and chic. Coach Love captures the joyful rush of being in love. With a luxurious blend of green violet, gardenia natureprint, and patchouli, these exquisite ingredients are bonded together to create a scent that is as romantically intertwined as two soul mates in love. 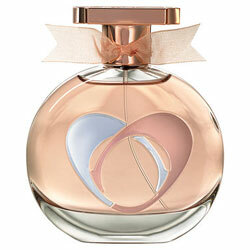 It opens with notes of sparkling mandarin, dewberry, green violet, and freesia, whilst the heart is a sophisticated floral bouquet of magnolia, jasmine, and gardenia. Revealing a base with soft, dewy petals, and lush, fresh greens romance sensual woods, luscious caramel, and warm skin musk, the woman who wears Coach Love is effortlessly chic, naturally radiant, warm, feminine, and a true romantic at heart.